In a galaxy not so far away, acquire new knowledge about the night skies surrounding us with SUU Community Education and a new astronomy program for everyone. The Master Astronomer Program is a 40-hour hands-on workshop where community members can come and learn more about Southern Utah’s amazing dark night skies. 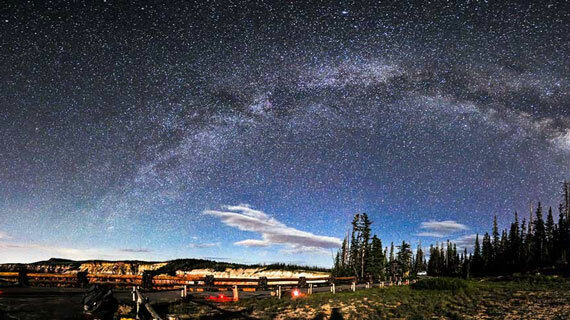 Developed by Cedar Breaks National Monument, participants will gain a greater understanding for the night sky and astronomy while learning something new. Participants will learn through many hands-on experiences and workshops, including learning how to operate a backyard telescope, learning about the solar system, celestial motions and dark sky preservation. Classes will be held in an SUU classroom as well as Kolob Canyon, Cedar Breaks National Monument and at the Ashcroft Observatory. SUU Community Education establishes community partnerships by generating fun, cultural and educational opportunities for those who love to learn. Subjects including culinary, arts, writing, yoga, dancing, pickleball and more, are taught by local professionals for the purpose of increasing participant knowledge and developing new skills. For a complete lineup of more than 30 community classes being offered this fall, visit suu.edu/wise, email bewise@suu.edu, call (435) 865-8259, or stop by their office at 136 W. University Blvd, Suite 003, Cedar City, for more information.